You know that awkward stage that preteens and teens go through? Physically, they’re maturing, but they don’t have life figured out yet, so they make a lot of mistakes. Rain is a nutritional MLM company that offers health supplements derived from plant seeds. They claim to be the “original creator of seed-based nutrition.” That’s possible, but it’s not rocket science, either. Can there really be a “first”? Their signature products are based on the black cumin seed, among others, and they claim that seeds pack significantly more power than any other part of a plant. Is it a good MLM to join? Keep reading to find out. 1. What does Rain sell? Rain sells seed-based, liquid nutritional supplements, and skincare products. Rain calls their products “category-creating,” meaning no one else produces supplements derived solely from seeds. 2. What are Rain’s most popular products? One of Rain’s most popular products is Soul, the original, seed-based product. This is two ounces of condensed nutrition with essential nutrients from black cumin seed, black raspberry seed, chardonnay grape seed, and D-ribose to recover and fight off environmental threats. Another popular option is Core, a replacement for your wheatgrass shots and green smoothies, designed to give your body the benefits it should be getting from daily greens. 3. How much does it cost to join Rain? The least you can spend to become a Rain distributor is $104.95. For that, you get a Virtual Business Kit ($39.95) and sign up as a recurring customer of Soul ($65) or Core ($73). Of course, you can make a bigger investment — probably with the promise of getting your business started off right — by getting a Soul Basic ($104.95), Soul Builder ($299), Launch Basic ($315), Soul Pro ($689), Launch Pro ($1,249), or Soul Elite ($1,320) package. With the larger packages, you get a Success Kit instead of just a Business Kit. 4. Is Rain a scam? No, Rain is a legitimate supplement business. It’s certified as a pharmaceutical-grade manufacturer and for its good manufacturing practice. It’s certified drug-free and GMO-free. Unlike many other MLMs today, though, you can’t buy their products online. You can only get them from a distributor. 9. What lawsuits have been filed? We didn’t see any lawsuits online. So it turns out they actually have a pretty unique angle as a nutrition MLM…Should you get involved? 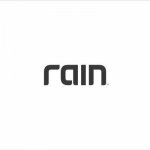 Either way, here’s the full review on Rain (the company). Rain opened shop in 2009 in Utah as Rain Nutrition. By 2011, they were already acquired by Rain International. Now operating very strongly in the European Union, with operations in 10 EU countries and hopes to expand even more. Their Founder and President is Byron Belka, and though he’s done well for himself in network marketing, he’s not quite as experienced as some. Although he was a top-level distributor for a long time at other MLMs, this company is his first attempt at executive level positions within MLM. He’s a youngster, but sometimes that’s what a company needs. Belka was a network marketing prodigy who was already hitting top commission levels with his first MLM at the age of 28. He’s been at the top ever since, and after more than a decade of experience, he’s created his own MLM. Their products are endorsed by a legit doctor, Bradford Weeks M.D., who does webinars online about the benefits of their SOUL supplement and writes a blog about the power of black cumin seed. That being said, the guy has been charged with misconduct so many times that he was suspended for five years and almost lost his medical license. Their products are all based on “seed nutrition,” which claims that by getting to the core of the fruit, they’re offering a higher concentration of antioxidants and increased nutritional power. Product lines have some cool names too, like Soul, Core, and Fused. SOUL is a unique nutritional supplement designed to restore health, and it is also their flagship product. It includes black cumin seed, black raspberry seed, chardonnay grape seed, and D-ribose extracted through a cold press process that prevents damage to the nutritional value of the seeds by avoiding chemicals and high heat. The product claims to be anti-aging, anti-inflammatory, and anti-oxidant. It has been tested by Brunswick Labs, an independent research unit serving the nutraceutical industry. However, none of their claims have been supported by the FDA, of course. CORE is the second product they introduced, and it’s designed to cleanse. It’s a nutritional supplement that works together with SOUL (smart, now you have to buy two products). It includes a long list of exotic ingredients like black cumin seed, milk thistle, dandelion, and kale. The product improves health on all kinds of levels, including eliminating toxins, balancing pH levels, and increasing immunity. FORM is their third product, a protein supplement that combines with CORE and SOUL to create a 3-tier complete health system, which is just a fancy way of saying that now you have to buy three products per month. FORM is designed to build health and strength by burning fat, suppressing appetite, and build muscle. Other products include FUSED, artisan coffee infused with seed oil, and REVRI, a line of seed-based skincare products. All of their products are non-GMO, vegan, and gluten-free. In order to qualify for a commission, distributors must maintain a minimum of 50 CV every month… hellooo auto-ship. If you want to maximize your potential earnings, you need to earn 200 CV every month. One box of Soul just gives you 50 CV, so you’ll need to hustle to reach 200 CV. Like most MLMs, they’re not very transparent about the opportunity to become “partner” or about their binary compensation plan. You can’t get information regarding the cost to join unless you enter the person who referred you. First Order Bonus of up to 50% on the first orders of your direct recruits. First Order Bonus Match of 10% on people your direct recruits enlist. Executive Leadership Bonus of 1.5% of Rain’s commissionable volume if you maintain an executive leader rank. Team Commissions of 10% on a binary commission structure. Lifestyle Bonus ranges from $100 to $1,000 for every week you maintain a top achiever rank. Generation Match Bonus gets you paid on your team member’s commission checks up to 7 generations deep. It’s the biggest earner for most of their higher level members. So, their compensation plan is about as standard as it gets (see: Sisel, Vasayo, or Pure Haven Essentials). The commission is a little low (35% would be closer to average), but the commissions you make on recruitment are pretty good. After some digging, I was able to figure out how much it costs to join…and now I understand why they try to hide it. Joining up is not cheap! There are several package options, and of course, the more expensive ones allow for more earning potential. While you aren’t necessarily at an advantage if you order the package that includes 6 months of autoship, having 3 business centers instead of 1 does significantly increase your earning potential. Confusing, right? Better hope you have a good referrer who can help you navigate your options. Overall, not a bad company at all. Even if their products might be a little iffy, at least they’ve got a decent compensation plan. That being said, even the best compensation plans in nutritional MLMs aren’t the most sustainable income opportunities. If it’s something you want to join because you believe in the products and you have a decent method of getting customers, it might not be a bad company to go with. Just don’t expect to quit your 9-to-5 overnight. Hi thank you for sharing information regarding g MLM companies. I was involved in Legal Shield (just recently I got a check for $160 plus) but I’m not involved anymore. About a year and a half a friend got me involve with Rain Intl. I spend a lot of money getting the products on the auto ship and sig for a distributor ship to this date I have not see a check, the products are ok. I would like to get involve with a company that is not MLM and that has good reputation. I would appreciate your suggestion and commends. My suggestion is to not join another MLM but to learn a skillset that will yield digital income for life. Hi Juliet, I really like Jeremy’s post on Rain products and the business itself. Well the need for the products got me interested which I bought for my mom. indeed I can testify of her improvement so far. The business side is good. it took me almost a month to get my commission owing to some banks they preferred to pay it in likewise online platform – paylution.com. Kindly call their customer care in your country and as well that of the head office. you will surely be paid OK.
Dear Juliet – In order to recieve a check some type of action needs to be taken..! No action means no check. You either refer people to your website and if they buy a product you get paid a commission. Or you get somebody interested to join you business wise and if this person desides to purchase a starter pack of any kind you get paid. If one of these do not happen I think it is logical you don’t get a check. I think that is pretty fair don’t you? If you ad more people to your team more income opportunities become availabke. There is a reason why it is called netWORKmarketing and not netDream marketing or netWISHmarketing. I have “inside sources” at Rain and the company has seen better days. Thanks for the information. Curious as to whether or not it would be more cost-effective to try out Rain and Core via purchasing through Amazon rather than going through a distributor. Thoughts on this? Thank you! You can become a distributor for $40. You do not need to buy more than one Box of Soul plus the $40. The Soul has saved my life. I was in such pain when I started taking it two years ago I couldn’t walk around the block without a back brace. With in two months I have never needed it again. Pain free living. I haven’t looked into the business side of the company, nor have I tried any of the products other than Soul, but this product gets a huge thumbs up from me, as well as from my doctor, based on my labs and overall well-being. Definitely benefiting several of my friends and me. Too bad about their resident MD. Sounds like they might need ‘cleaner’ MDs to work with. Yeah I’ve tried Rain. Good stuff but their company is on life support.